We are aware that there is a technical fault with ordering prescriptions online. The problem is currently being addressed by the service provider Vision Online. We apologise for any inconvenience to our patients and hope that the problem is fixed soon. Thank you for your patience. WE NO LONGER ACCEPT PRESCRIPTION REQUESTS BY TELEPHONE. We suggest you re-order your medications when you have one week of medication left. We do not want you to run out but we do want to issue them safely. Using your ticked medication slip posted into the box in either Cockenzie or Longniddry surgeries. Medication slip should be ready for collection from Cockenzie or Longniddry surgeries. Please note that special request prescriptions will take up to 4 days to process. Special Request prescriptions are prescriptions which are NOT ON your repeat prescription request form. TO REGISTER FOR ON-LINE ORDERING OF PRESCRIPTIONS – please complete a registration form at reception for this service. Requests for prescriptions not on your repeat list should be ordered at least one week before they are required. 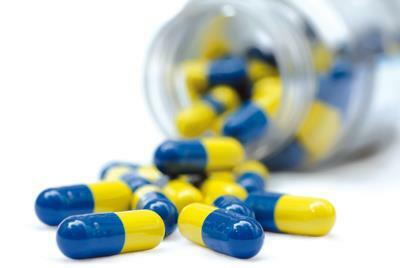 Medications will no longer be issued on the SAME DAY unless under exceptional circumstances. PLEASE NOTE THAT SPECIAL REQUEST PRESCRIPTIONS CAN TAKE UP TO 4 DAYS TO PROCESS. Special Request prescriptions are prescriptions which are NOT ON your repeat prescription request form.